2019 LT100 Run Camp is now sold out. Please reach out to Athlete Services to be added to our wait list. Open to all runners, this camp offers an introduction to the Leadville Trail 100 Run presented by La Sportiva and is the perfect training tool for this year’s race. Seasoned veterans provide a great education as you cover the LT100 Run course over a three-day period June 21 – June 24th, 2019. Whether you’re a “Race Across the Sky” first-timer or an old hand, we encourage you to join us in Leadville for an informative look at the country’s most scenic and challenging ultra-run course. Group training runs — both day and night — will familiarize you with key sections of the course, and discussion sessions with race veterans will help you get the most out of your race experience. Come spend some quality time with us and get to know your fellow racers. Our training camp is an experience you will carry with you forever. We like to think of it as a long weekend of good food, good running and good friends. Please note that the schedule may have to be adjusted due to the snowpack, but we’ll try to keep you informed as the run date approaches. > Click here to view the Leadville Trail 100 Run presented by La Sportiva course map. • 12:00 – 6:00 p.m. Packet pickup at 316 Harrison Ave.
• 6:30 a.m. Pre-run breakfast provided by LRS. Late packet pickup at 316 Harrison Ave.
• 8:30 a.m. Run planned for the day is May Queen Campground to Twin Lakes Fire House (26 miles). Transport provided by LRS from breakfast to May Queen. LRS will set up two well-equipped aid stations on course at Outward Bound and Half Pipe for support during the run. 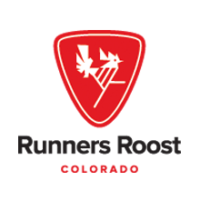 • 2:30 – 4:00 p.m. Transportation running from the Fire House back to Leadville, 316 Harrison Ave.
• 8:30 a.m. Run begins at Twin Lakes- Willis Gulch, over Hope Pass to Winfield and return (approximately 23 miles). • 12:00 p.m. Cookout at Twin Lakes. • 1:00 p.m. – 4:00 p.m. Transportation departs back to Leadville, 316 Harrison Ave.
• 8:00 p.m. Load transportation to May Queen at 316 Harrison Ave.
• 10:30 p.m. Burritos, hot chocolate and more at LRS Headquarters, 316 Harrison Ave.
And of course, anything else you think you will need! If you have registered for the 2019 camp but are unable to participate, you may defer your registration to next year’s event for a fee. Please note that deferrals must be requested at least ONE WEEK PRIOR TO THE FIRST DAY OF CAMP. Please note: You will receive an email with your deferral code for the 2020 event. Please keep this in a safe place to register with when we open our 2020 event registration! If you have any questions about the deferral process, please contact Athlete Services.